Funtoco Backpackers Namba kohteessa Osaka, Japani: Varaa nyt! Newly open hostel in in city of Namba !! 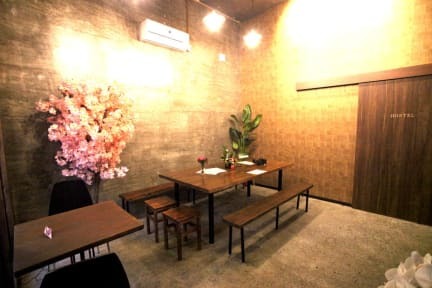 Perfect location for your Osaka stay as well as Kyoto, Nara, Kobe trip. Super friendly owner. Cafe and bar are also inside of our hostel. Let's make memorable trip in Osaka and have fun together!! -Bland new bunk bed.Each bed has some space where you can put your personal belongings, a reading lamp and an outlet.